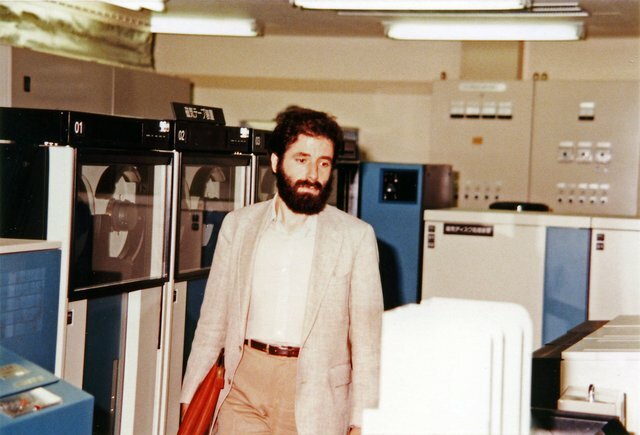 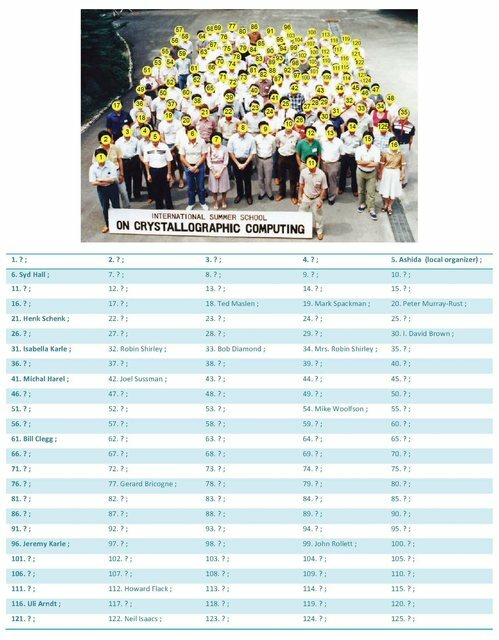 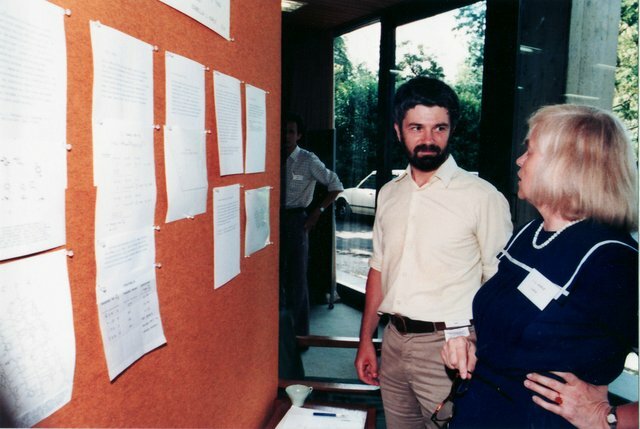 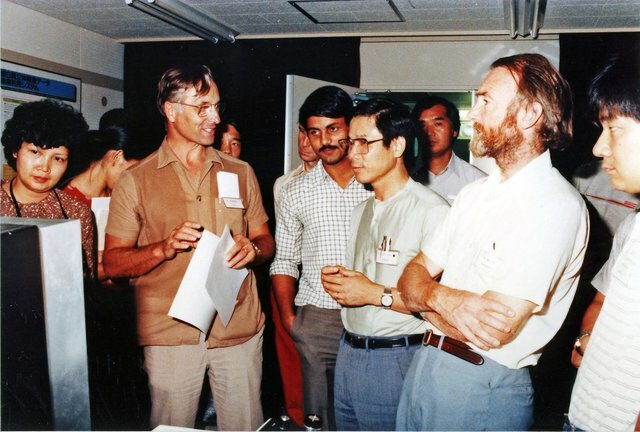 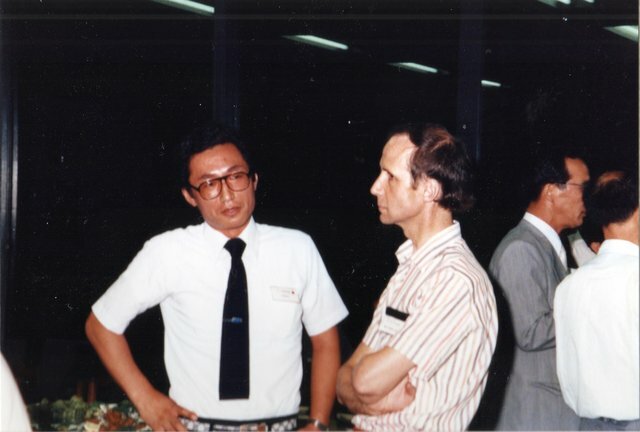 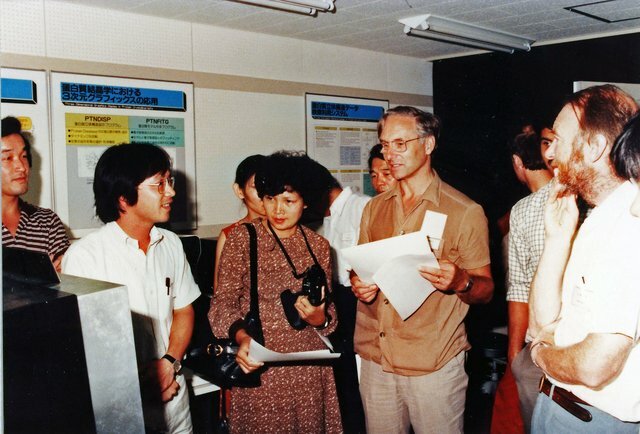 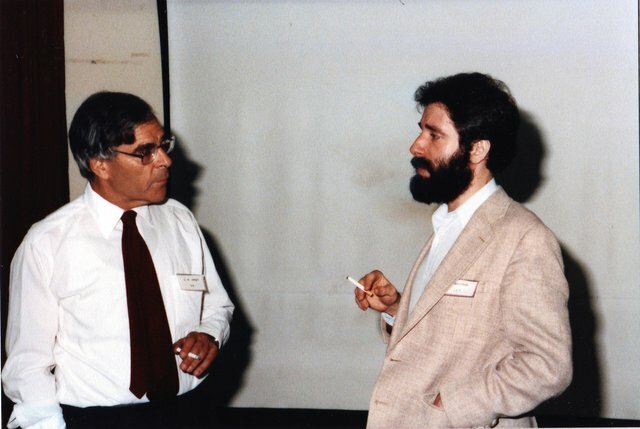 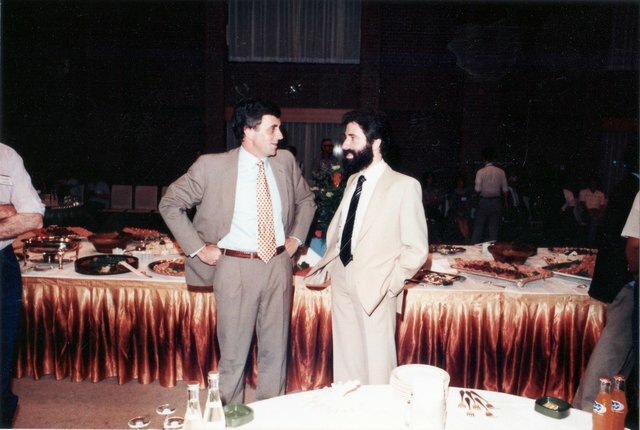 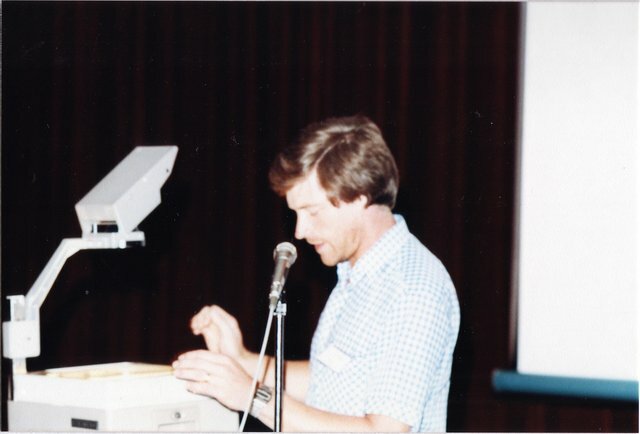 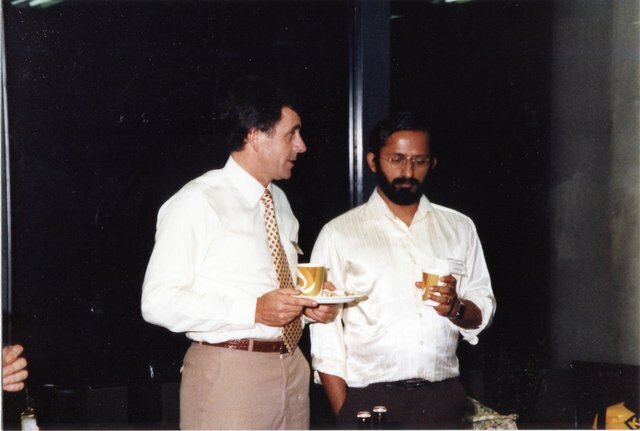 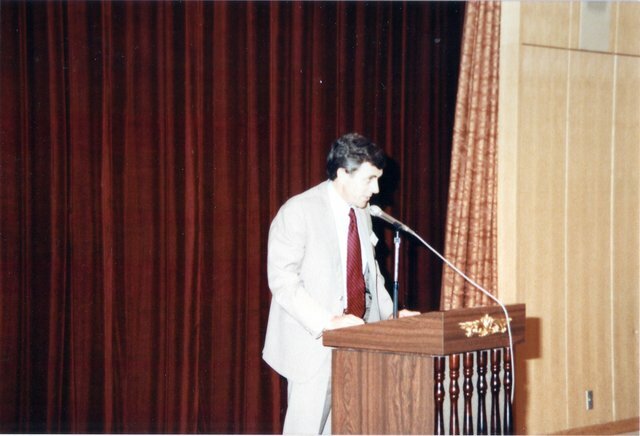 A larger collection of (uncaptioned) photographs of the Kyoto 1983 Computing School is available on the pages of the IUCr Commission on Crystallographic Computing. 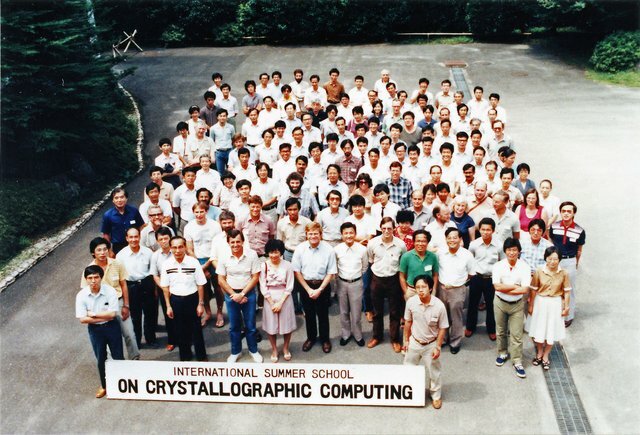 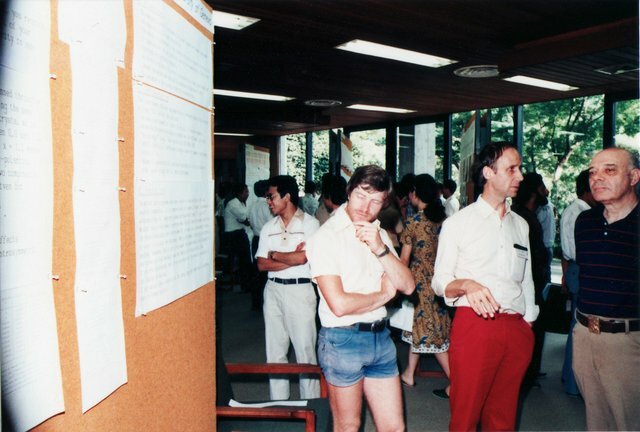 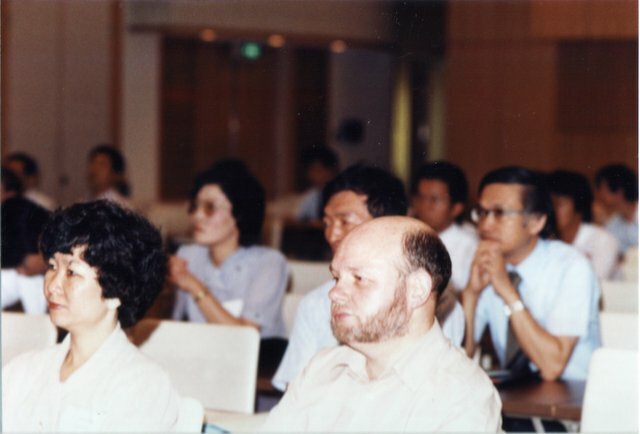 Participants at the 1983 IUCr Crystallographic Computing School, Kansai Seminar House, Kyoto. 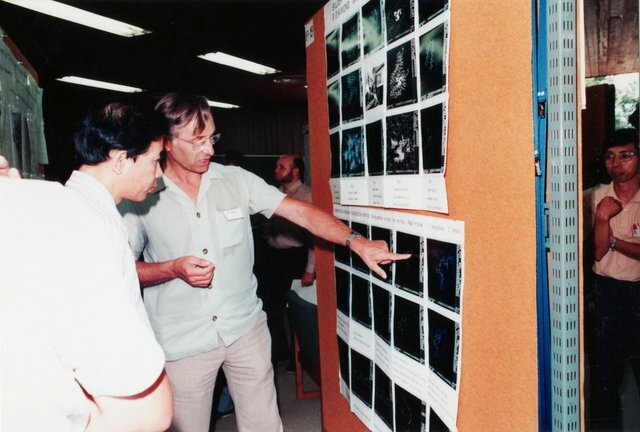 A separate identification key is available. 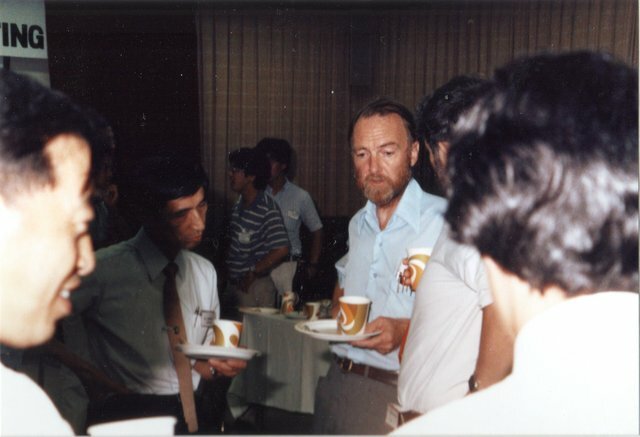 The legend gives the following names: 1 ?, 2 ?, 3 ?, 4 ?, 5 Ashida (local organizer), 6 Syd Hall, 7 ?, 8 ?, 9 ?, 10 ?, 11 ?, 12 ?, 13 ?, 14 ?, 15 ?, 16 ?, 17 ?, 18 Ted Maslen, 19 Mark Spackman, 20 Peter Murray-Rust, 21 Henk Schenk, 22 ?, 23 ?, 24 ?, 25 ?, 26 ?, 27 ?, 28 ?, 29 ?, 30 I. David Brown, 31 Isabella Karle, 32 Robin Shirley, 33 Bob Diamond, 34 Mrs Robin Shirley, 35 ?, 36 ?, 37 ?, 38 ?, 39 ?, 40 ?, 41 Michal Harel, 42 Joel Sussman, 43 ?, 44 ?, 45 ?, 46 ?, 47 ?, 48 ?, 49 ?, 50 ?, 51 ?, 52 ?, 53 ?, 54 Mike Woolfson, 55 ?, 56 ?, 57 ?, 58 ?, 59 ?, 60 ?, 61 Bill Clegg, 62 ?, 63 ?, 64 ?, 65 ?, 66 ?, 67 ?, 68 ?, 69 ?, 70 ?, 71 ?, 72 ?, 73 ?, 74 ?, 75 ?, 76 ?, 77 Gérard Bricogne, 78 ?, 79 ?, 80 ?, 81 ?, 82 ?, 83 ?, 84 ?, 85 ?, 86 ?, 8 7 ?, 88 ?, 89 ?, 90 ?, 91 ?, 92 ?, 93 ?, 94 ?, 95 ?, 96 Jerome Karle, 97 ?, 98 ?, 99 John Rollett, 100 ?, 101 ?, 102 ?, 103 ?, 104 ?, 105 ?, 106 ?, 107 ?, 108 ?, 109 ?, 110 ?, 111 ?, 112 Howard Flack, 113 ?, 114 ?, 115 ?, 116 Uli Arndt, 117 ?, 118 ?, 119 ?, 120 ?, 121 ?, 122 Neil Isaacs, 123 ?, 124 ?, 125 ?. 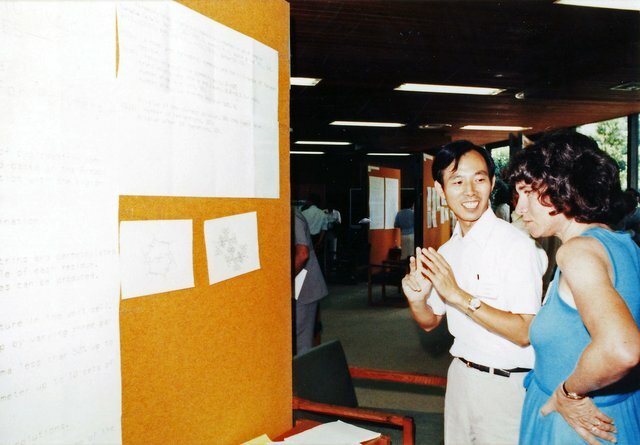 Identification key for participants at the 1983 Kyoto Computing School. 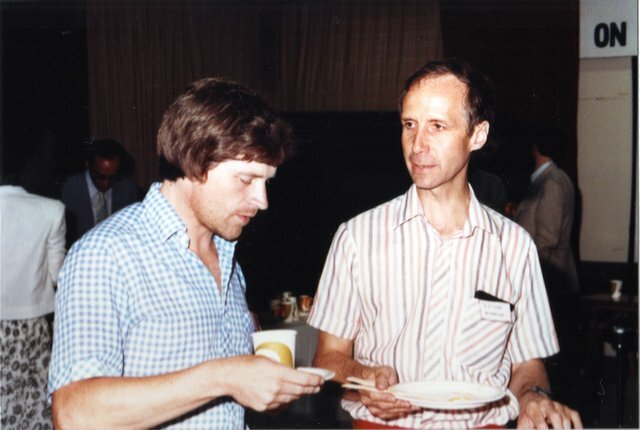 Bill Clegg, Peter Murray-Rust, Robin Shirley. 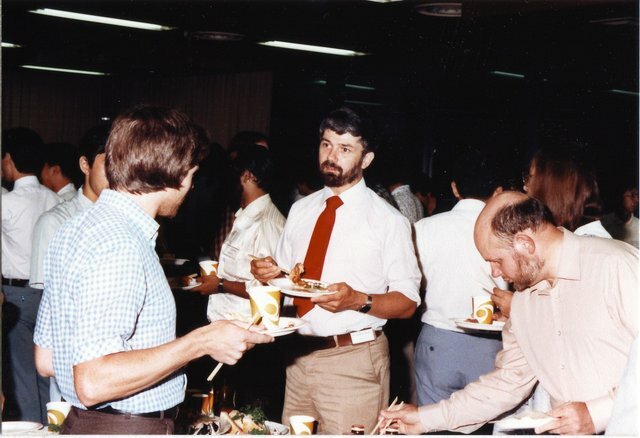 ?, Bob Diamond, ?, ?, I. David Brown, ?. 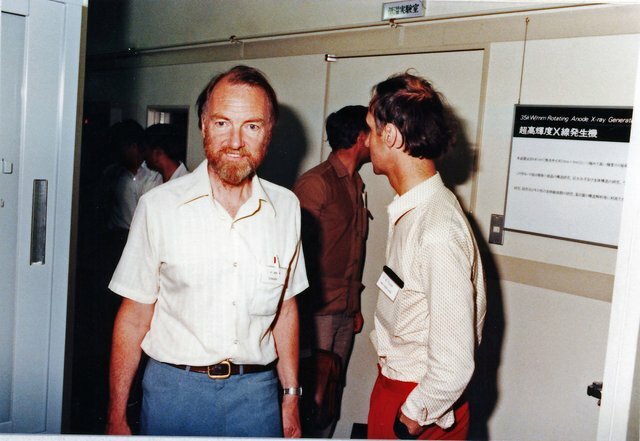 I. D. Brown, Howard Flack.